Just ANutter paper crafter...: Die Cut Diva's and Gina K.
Die Cut Diva's and Gina K.
April's challenge is to make a project you associate with April (such as Easter, Rain, Storms, April Fools Day, Spring, IRS/Taxes) or April holidays (www.holidayinsights.com). Stamp: Gina K. Designs Hope Grows, Versafine Onyx ink. Embossing folder: Acanthus, Cuttlebug Anna Griffith (white background). Dies: Flower Bramble, Cuttlebug Anna Griffith-Spellbinders Labels Two. 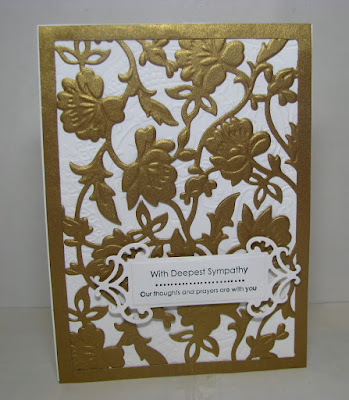 Paper: Gold shimmer cardstock, Wausau-Neenah white cardstock. 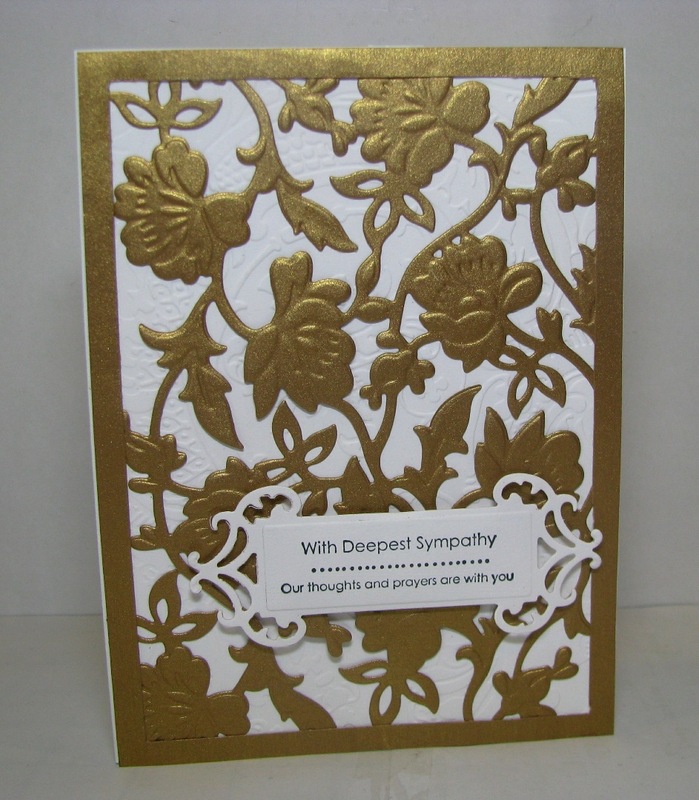 Unfortunatetly, you never know when you need sympathy cards, but it does make me feel good to know that an elegant and thoughtful card can show how much you care. Thank you Gina K. stamps!